Pogba will now don the No. 10 jersey made famous by Juventus legend Alessandro Del Piero. 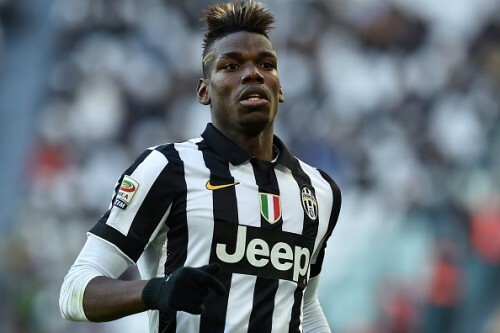 Turin (Italy), Aug 6 Italian football giants Juventus announced on Thursday that their star French midfielder Paul Pogba will be wearing the No.10 jersey for the upcoming 2015-16 season. The Italian heavyweights were in search for a player who would don the number made famous by legend Alessandro Del Piero who was a star during his stint here. Pogba, who used to wear No.6, will sport the new number from the Supercoppa Italiana clash against Lazio on Saturday. Juventus had tried to rope in Schalke striker Julian Draxler and Bayern Munich's Mario Gotze, who would have worn the prestigious shirt number. But they have now decided Pogba would befit the shirt best, as he is slowly inching towards filling in the shoes of Del Piero. Juventus broke the news on their official Twitter account. Pogba also reacted to the announcement and said that it would be an honour to wear the No. 10 shirt worn by many of the club’s greatest players.